There are a couple of different recipes under the name Tequila Sunset. The most common one online involves orange juice and blackberry brandy. This is not that recipe. The Tequila Sunset I like is one of those fantastically simple cocktails that hits just the right note. It blends lemon juice and honey with tequila. 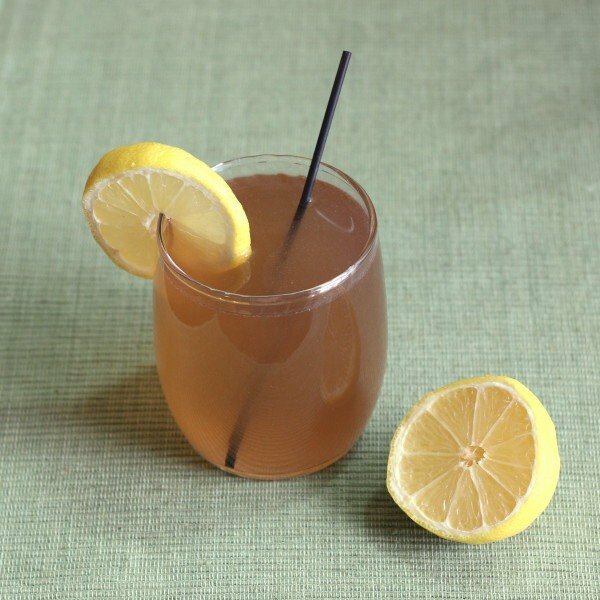 You probably already know what a great pair lemon juice and honey are when you add them to tea or just hot water – teaming them with tequila makes for a delicious treat. This is actually a very soothing drink for a sore throat, too. A serving alternative that’s great for cold weather: pour the ingredients into the glass instead of a shaker, and heat this one up in the microwave for about 15 seconds, maybe a little longer depending on your microwave settings. Shake the ingredients together in a shaker and pour or strain everything into a highball, depending whether you want the ice cubes or not. Garnish with a twist of lemon peel or nothing at all. 3:2:1 or even 4:2:1 with the tequila, lemon, honey. Definitely don’t overdo the honey (or agave nectar if you’re trendy urbanite smelling of coffee, garlic, and quinoa). Otherwise very tasty. Make this myself, just Googled to see if anyone else was fond of it. Nice wintertime take on the Margarita.